How useful is your organisation’s intranet? More specifically, how useful is the intranet’s homepage – that hotly contested piece of screen real estate that’s typically filled with corporate news? As the discipline, thinking and capability around intranets improves, the question and measure of usefulness should be asked and applied as a matter of course. Often though, intranets and their homepages are frequently stuffed with generic, company-wide information that has little immediate or actionable use to the individual using it. Global news front and centre, advertising campaigns that live on for months, irrelevant ‘quicklinks’ and a favourite – a link to Google – are all common findings. In each case, the role of the homepage will be explored, along with an in-depth look at the usefulness of individual elements. Figure 1: This example is representative of many intranet homepages seen today. It’s filled with generic, static, centrally controlled content that is of little value or use to employees. There is value in corporate messaging, but here the value is lost in the lack of genuine utility in this example. While representative, this homepage’s make-up is something that is seen frequently in the intranet world. Does your intranet homepage have similarities with this example? Such a homepage represents a trap that many intranets and intranet owners have fallen into. In part it’s the notion that if something is displayed on the corporate intranet homepage, it will be “seen by the business” and, thus, job done for the person or team displaying something. This belief can lead to all manner of advertising, news stories, vanity and organisationally structured navigation (“our business unit must be featured in the global navigation because theirs is”) and so on, on the homepage. Subsequently for the end user, much of this information is indeed useless, which is reflected in the poor colour representation on the page. The generic nature of the information simply gets in the way of completing a task. If any of the information did have any relevance, it was a one-off and that time has long since passed. Figure 2a: The Coca-Cola Enterprises homepage. Figure 2b: The homepage of Coca-Cola Enterprises, with the measure of usefulness applied. In contrast to Figure 1, this is a far more useful page, with relevancy, dynamic content and personalised/tailored links and resources. Figure 2a and Figure 2b show the homepage of multinational beverage company Coca-Cola Enterprises (CCE). This was a commended entry in the 2012 Intranet Innovation Awards. This design features vastly more relevant information than seen in the typical homepage of Figure 1. Like the first diagram, the CCE page is designed with a three-column layout, but in this example, each column has a purpose. two banner advertisements, one of which is supporting the social tools on offer. a further, small promotional space. The global news column (left) is the least individually relevant column on the homepage, yet in the context of the centre and right columns, the weight of the page is clearly geared towards the user and the weight of useful content (green) far exceeds the somewhat useful and not useful content. Figure 3: The Shepherd & Wedderburn homepage features panels or ‘widgets’ more akin to a portal. Data from business systems are presented and can be minimised or deleted as required. This is a tool-centric page, and more dashboard than homepage, but its utility is clear. Figure 3 assesses the homepage of a widget-focused portal at UK legal firm, Shepherd and Wedderburn (SW). This example was a winner in the 2010 Intranet Innovation Awards because of the focus on usefulness and user-driven enhancements. One might even call this a ‘dashboard’ as opposed to an ‘intranet homepage’. Viewed through the lens of ‘usefulness’ its value is clear; the quick access to work systems conceptually eases the effort required to conduct work. When productivity and related revenue is measured in units of six minutes, the benefits of having critical tools so easily available is obvious. Each panel or widget on the SW homepage can be deleted or minimised based on user preference, with employees also being encouraged to submit requests for further widgets, which the intranet team then analyse and, if approved, quickly create. An intranet’s usefulness is determined by its users. There may well be corporate requirements to satisfy, but if they turn the intranet into little more than a generic news centre, it’s not going to be useful. With these points and examples in mind, take a look at your intranet through the lens of usefulness and in the future, aim for as much ‘green’ as possible. Great article Alex. Well done. The #2 ranked WIC intranet home page from Discovery Health is highly customisable using the widget approach you talk about. The way of the future I think. good article Alex. Maybe you haven’t been fair with figure 1 example. In our experience, Staff Directory is green – and this is the case in any other example you provide. And while I’m being picky, if a good taxonomy is applied (eg. using analytics and search stats to identify high usage), sections such as Quicklinks rapidly reflect hot topics, as links to these pages are brought to the surface. I see the real value of your article in demonstrating the value of interactive and customisable pages. It’s Intranet 2.0. Both personalise the engagement. User centric and media rich design is definitely the way forward and you’re exposing the opportunities and value. Adam, equally I think you’re being a bit generous. ;) But it’s likely to be related to context. Certainly as a result of the fact that we’re often brought in to help rework an intranet, we still see a lot of the classic intranets represented in Figure 1. I was working with a large state government agency recently whereby the directory on the intranet was awful, most people still used the email client’s directory, which was using part of the same dataset but not all. This was not a rare example. Equally, search, analytics, dynamic links that reflect hot topics… great for sure, but as straightforward and obvious as that all sounds, it should not be taken as a given on any intranet. Believe me, it’s a nasty old world out there! We have seen and continue to see a lot of ‘Figure 1’ intranets, where the IA, search, directory, content is all absolutely worthless. Andrew, the widget aspect provides flexibility for sure, but it’s the content within makes the widgets themselves useful. Being able to tune and refine the site easily is key too. One aspect of this not included in the article (though it is in the cuttings! ), is the ‘personalised v tailored’ consideration. I much prefer a tailored approach – actually attuned to what Adam’s saying, too – whereby the page/view is refined based on user profiles, preferences etc. This is *tailored to* the user, as opposed to personalised *by* the user. It’s a much more sustainable approach I think. Talk about timely! I am in the process of designing a new home page for a SharePoint intranet (more like a large colleaction of team sites) so this is very useful. Great article! Informative and persuasive. Coca Cola’s Global Navigation bar is classified green, but Figure 1’s Global Navigation bar — which is similarly located — is classified orange. What’s the rationale behind the difference? Figure 1 is representative, reflecting what we typically have seen and continue to see in a range of organisations. As stated in the description of Figure 1, such sites typically have a very unhelpful IA that’s either grown organically with no strategy, vision or governance, and/or no user-centric testing or design, meaning it’s unhelpful, obstructive and generally useless in its task of helping the user find information. For CCE, we can take from the design process that has produced the site that the global navigation is more intuitive, more helpful, more useful; we can see there’s no business unit structure forming the IA, but it’s task-centric and minimal too (only 6 categories). It’s likely the CCE IA could be further improved but it’s definitely way better than that of Figure 1. The colour-coding exercise is useful in terms of feedback from employees – I can assume that the above examples are your interpretation of what is useful and not? Maybe a way to evolve intranets is to use this colour method as a useful device for feedback for intranet teams? I would love to see this concept used and evolved further by intranet teams because for me it just cuts to the chase. There are tougher questions to answer as a result, but that’s the way progress is made. The measure of what’s useful above is based both on my own expereince of what works and what doesn’t, and insight into the two corporate projects mentioned (both Innovation Award entries, so we have a lot of the background including comments on benefits to staff and their feedback). How useful is something in reality versus what people say is useful? Only a mixture of research and analysis can prove either way, but it’s a constantly moving target. One comment on Twitter in relation to this article was around the use of heat maps provided both by website analytics tools and usability testing and eye-tracking. It’s a different measure to the lens of usefulness, but I think the two would complement each other very well. Interesting but massively biased to suit your narrative. Figure 1 has several near identical features to the other examples, yet no green areas. In fact, quicklinks are shown as red, yet HR quicklinks are green for Coca Cola. It is fair to say most Intranets are organically grown, messy and busy, but your initial analysis needs to recognise that a nav bar or quicklink box that is accidentally in the right place, is still in the right place. You can’t label something as not useful purely because you are dubious of the design process. Alex Manchester is an alumni of Step Two Designs. 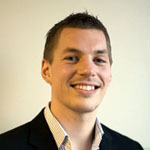 He specialises in intranet and enterprise social network research strategy and user experience design. Alex works with a wide range of public and private sector organisations and has over eight years experience in this field.